Yes, I am still around. Been very Busy. Almost 40 years driving and never a car accident, and the day before I was to go to New Orleans for the 201st commemoration of the Battle of New Orleans, I was hit in two separate accidents but two different college students. The first one, I had my front bumper ripped off by an 18 year-old who zoomed past me. The police officer didn't even talk to me, but listened for a half hour to the 18-year old gymnastic sorority girl and her friends who later showed up, talking about things that were irrelevant, such as flips and somersaults. There was no way they were going to believe my side of the story. The next day while limping to the repair shop and sitting at a stop light, I was rear-ended by some other idiot student who was probably texting and didn't see the traffic stopped ahead of him. He was driving his mom's Ford Focus and won't return my phone messages. Enough about me. There are several new books out. 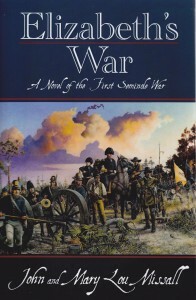 The first, "Elizabeth's War, A Novel of the First Seminole War" by John and Mary Lou Missall. 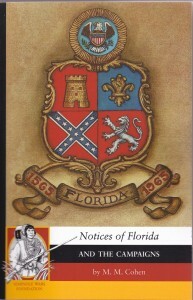 Printed by the Florida Historical Society. 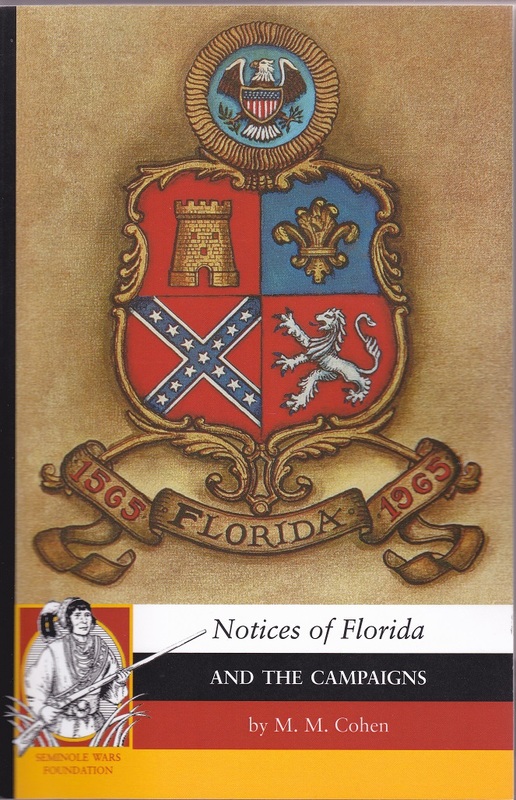 Which I've heard that they had some glitches from ordering from the FHS web page, so just buy it from John and Mary Lou at the reenactments you find them at, at the Seminole Wars Foundation table. This is a novel about Elizabeth Stuart, a real woman who was captured, and the only survivor of the Scott Massacre, a boat of about 40, 7th Infantry soldiers and some of their wives, on the Apalachicola River, on November 30th, 1817. As told from Elizabeth's point of view and her Indian captors. She spent several months prisoner until being freed, and eventually lived the rest of her life around the community of Fort Gaines in southwest Georgia. This is a true story set as a historic novel. "Notices of the Florida and the Campaigns" (1836) by M.M. Cohen. This is one of the eyewitnesses who published the first year of the 2nd Seminole War. Cohen was with the South Carolina Militia, and was with the Scott campaign. 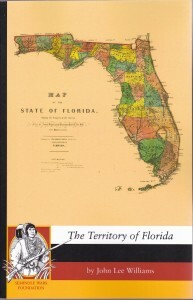 "The Territory of Florida" (1837) by John Lee Williams. Williams was from Pensacola, and later settled at Picolata on the St. Johns River, and writes about the Florida Militia. His observations of Florida during early territorial days are invaluable. Both Cohen and Williams have been damn near impossible to find, even as the reprints. 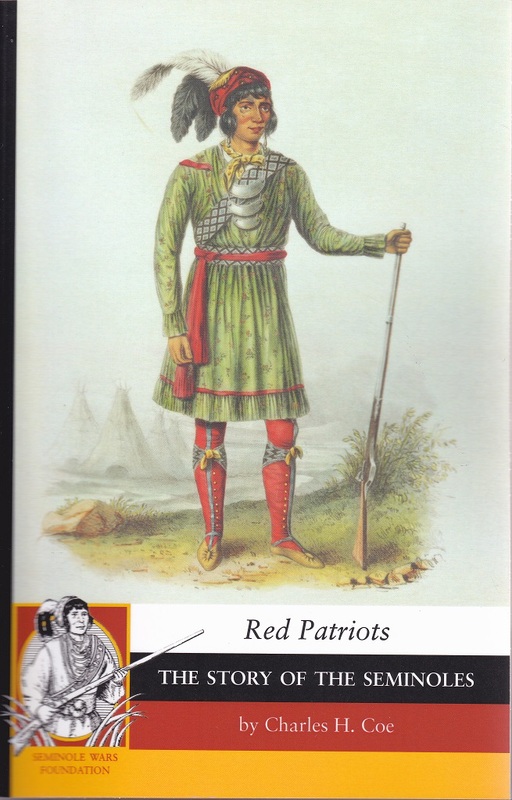 "Red Patriots" (1890) by Charles Coe. 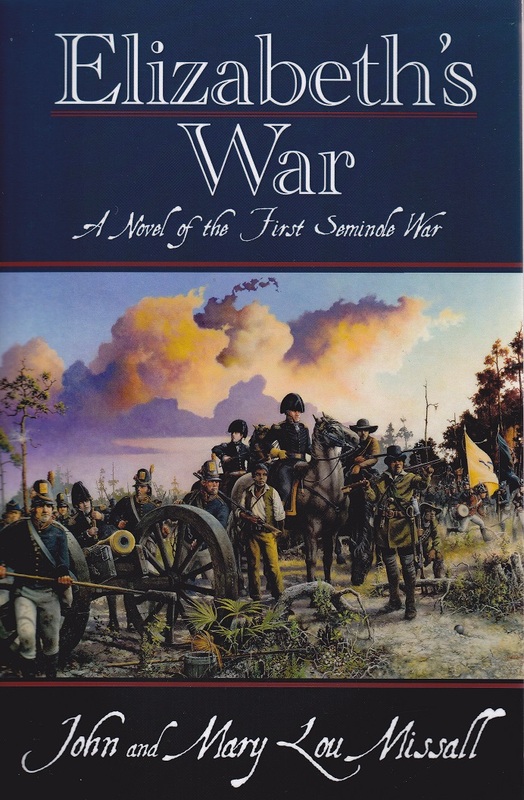 Not only does Coe write about the Seminole War, but he writes about the Seminole history up to that time. 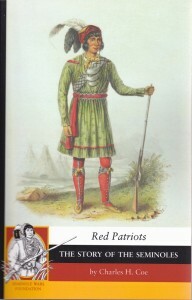 He was one of the first books about the Seminoles after the war period. If you take three books about the Seminoles written after the 2nd Seminole War in the 19th Century, Joshua Giddings, 1858, "The Exiles of Florida," Coe, and Minnie Moore Willson's "The Seminoles of Florida" (1896), Coe was more accurate on his history and descriptions. Coe did a great job bringing to light that the Seminoles were still there, and still alive in Florida. Giddings and Willson are so fraught with errors that I don't like to even reference them.